Now that it’s October everything is coming up pink! If you’re avid football fans like we are, you probably noticed the plethora of pink that donned the fields this Sunday as the NFL showed their support for Breast Cancer Awareness Month. We truly believe in this amazing cause and wanted to show our pinkness by bringing you the latest and greatest in frames that donate to charities focused on raising funds for research, awareness and support of those affected by this disease. The Breast Cancer Research Foundation will be proudly accepting donations from the likes of Wiley X, Foster Grant and Lacoste. 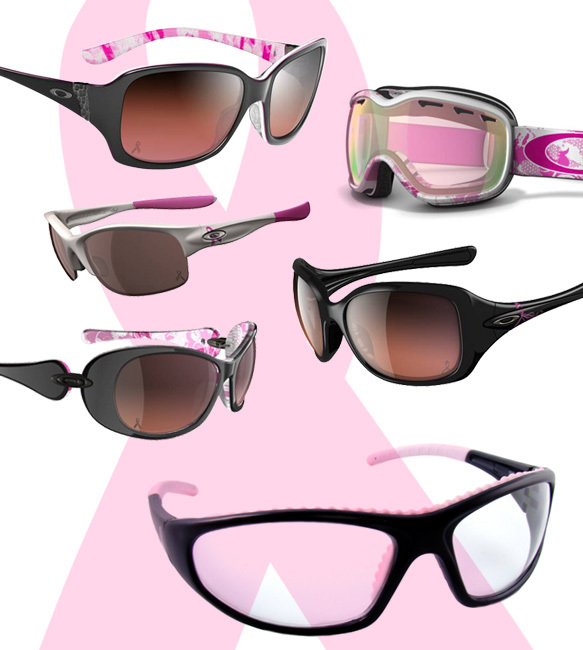 Active ladies will help do their part with Wiley X who is donating $3 from the sale of each pair of their popular Lacey frame and Lacoste who will donate 10 percent of the proceeds from each sale of their L506S frame to the Foundation. 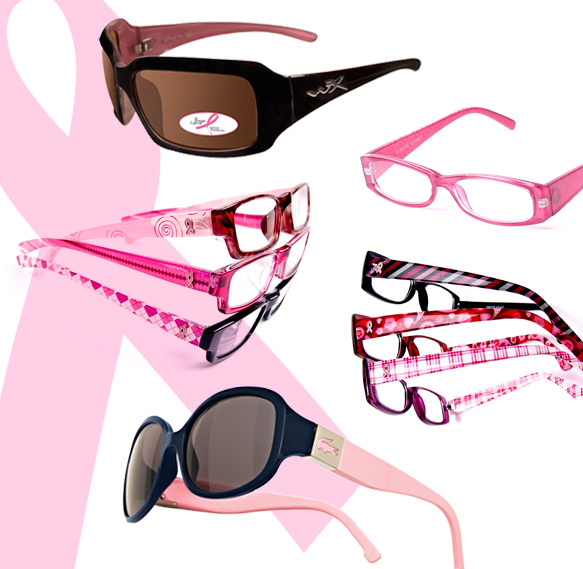 Foster Grant will offer three uber cute reading glasses – Winnie, Jessie, Joy – in their Pink Hope Collection with a percentage of the proceeds from each frame sold being donated. Sporty babes will be delighted to frame their face and give back by grabbing Oakley shades and Pink Promises safety glasses. Oakley will donate $20 from the sale of each special edition sunglass – Discreet, Necessity, Stockholm, Commit and Dangerous – to the YOUNG SURVIVAL COALITION. 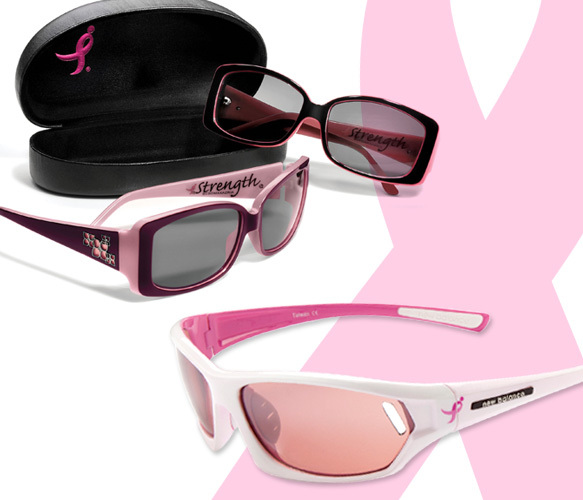 You can protect your peepers by sporting a pair of Pink Promises safety glasses and 50 cents of the proceeds from each frame sold will be donated to a breast cancer awareness charity. BCBGMAXAZRIA and New Balance are taking donations from their shady styles to Susan G. Komen for the Cure. Snagging a hot new pair of BCBGMAXAZRIA Strength sunnies will contribute 20 percent of the retail price of the frame to the cause, with a guaranteed minimum donation of $25,000. New Balance created a Lace Up for the Cure Collection that contributes 5 percent of the retail price of all frames sold, with a guaranteed minimum donation of $500,000 to this worthwhile organization. Being a breast cancer survivor herself, this cause is very close to Betsey Johnson’s heart which is why she has released a special edition frame, called Survivor, and will be donating a portion of the proceeds to Fashion Targets Breast Cancer – a charitable initiative of the CFDA Foundation. Preppy girls will be delighted to know Vera Bradley has a Breast Cancer Awareness Sunglass Collection that donates a portion of the proceeds from all sales of this collection and regular Vera Bradley Eyewear to the Vera Bradley Foundation for Breast Cancer. 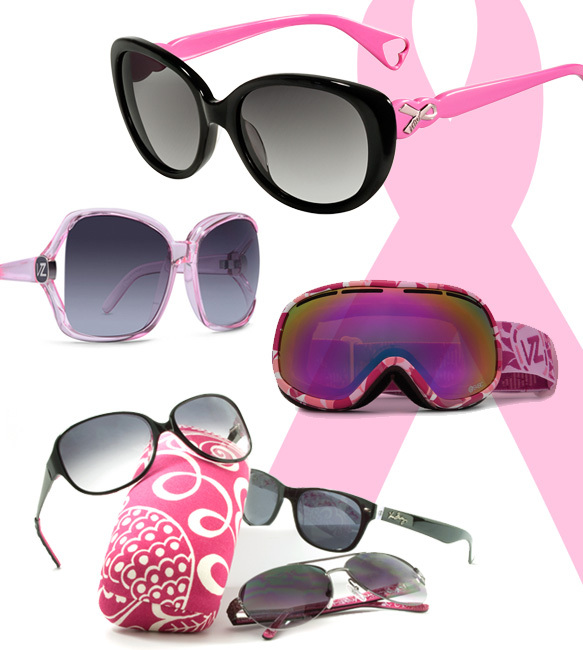 Adrenaline junkies will get their fix by shopping for the Von Zipper Chakra goggle and Dharma sunglasses who donates a portion of proceeds to Boarding for Breast Cancer. Now when you have an urge to shop this month you can do it with a clear conscience!